High tech is getting really high tech. More features, less money. If you haven’t looked at new laptops in a while, you’re in for a pleasant surprise. They’re sleek, powerful and relatively cheap. Is it the crumbling world economies, or economies of scale? Joy says it’s competition. Whatever it is, consumers who haven’t maxed out their credit cards can get some deals. 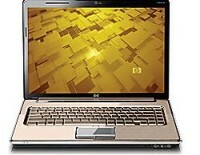 We’ve been trying out a new laptop from HP, the model “dv5z.” It’s the best we’ve seen up till now. The list price starts at $580, and if you add $85 worth of features (3 gigabytes of memory and the faster “Wireless N” connection to hot spots) it feels like $2,000. A trial version of Microsoft Office is included, but you don’t need it since the laptop comes with Microsoft Works. If you want “Office” features, you can download OpenOffice, from openoffice.org., for free. Joy uses it all the time. For anti-virus and anti-spyware, we use the free Spybot Search and Destroy and either AVG Anti-Virus or Avira Anti-Virus, also free at download.com. Could it be that Carly Fiorina, the ousted CEO of Hewlett Packard, was right in insisting that HP buy Compaq Computers and get back into the computer business? The board of directors bowed to that and then threw her out. But now, just a couple years later, HP is the world’s leading computer maker, overtaking Dell. I am writing to you about a major issue, that I am sure is affecting a large number of people. In June 2006 I bought a Gateway laptop computer from the University of Arkansas computer store. As part of this purchase I bought an extensive 3 year warranty that is still listed under the Gateway company (support.gateway.com/support/srt/warranty.asp?sn=0036733228). The contract said they could sell the warranty to another company. Recently, my computer stopped working. I still have a year on my warranty. I took it back to the University store, and they said they were no longer dealing with parts or service for Gateway because they had so many problems, starting last summer. They suggested that I contact Gateway. Gateway told me that I had to call another number for a company called MPC. To make a long story short, Gateway had sold the warranty to MPC as of October 2007. Customer service for MPC finally ordered a mother board and an AC adapter that the University computer store had recommended and told me that shipping was delayed, but I should get the parts in 5 days. That was 2 weeks ago. At the time I received my parts, a tech person was supposed to call me and come and fix it. Meanwhile, as you are aware, I was without my computer files, my projects, etc. Since then, things have only gone downhill. The parts haven’t come and the check status web page for order 2840039 says the date is “please call”. The ship date is “N/A”. The phone number (1-877-485-1464) says it won’t answer questions about parts. From the beginning, I smelled a rat, so I looked at the web site for MPC, and they were ‘delisted’ from the American Stock Exchange on Oct 1 2008. Their stockholder equity had fallen below 2 million dollars and they had sustained losses from continuing operations or net losses in two of the three most recent years (www.mpccorp.com/common/press_releases/mpc/index.asp?id=102708_1). The statement from MPC also crowed about the fact that they had acquired Gateway’s Professional business in October 2007. And, my “Gateway Three Year Limited Warranty Agreement” says that Gateway can sell the contract. I called a number I was given about warranties at the original company, Gateway (877-845-9728), and was told that the call was ‘unusual’ and the person would need to talk to someone. The answer when he came back was that legally Gateway had no responsibility for my problems. The University computer store tried to help me, but found the same problems I did, as well as information that the company had been moved first to Tennessee and then to Mexico. What a nightmare! I do have an address given to me by the Gateway warranty office for the Gateway Executive Response Team, p.o. Box 6137, Temple, Texas 76503. I also have a call in to the National Arbitration Forum at 800 474-2371, which is the only recompense my contract allows me. I looked at the Gateway web site, and found that major stores such as Wal*Mart and Best Buy sell these computers. I called Best Buy and found that they have no problem getting parts, and can fix laptops. They cannot, however, honor my ‘Gateway Three Year Limited Warranty Agreement’. 1. Why did Gateway sell my Warranty (and many other Warranties, I’m sure) to a company that was financially questionable? MPC was finally told they were not in compliance with the stock market rules in 2008, but they had clearly been in bad shape for 3 years. Did Gateway simply want to get rid of a financially non-productive part of their business so they could make more money and leave the consumers hanging? 3. This problem is possibly a good example of why some American corporations are in trouble–they make sure they have very little legal responsibility, and they are so removed from their customers that they cannot and will not make good on their promises. Buying from Gateway is not something I would recommend to anyone, and I hope Wal*Mart and Best Buy are listening. We had a problem with a Gateway ourselves, several years ago, and have heard of others whose Gateway computers needed major repairs which took weeks or months to fix. On your behalf, we have written Gateway and are still awaiting an answer. I too have the same problem with Gateway and their 3-year extended warranty. I also agree that is Gateway’s responsibility to take care of these warranties because they did sell their professional division to MPC 1 year ago knowing that MPC was on the verge of going out of business. It was a totally irresponsible move on their part, and they should pay for it. I have a computer that is just over a year old that is completely dead. I have been unable to even speak with a human at MPC and Gateway won’t talk to me as soon as I enter my serial number. MPC has a page on their site stating that they are not honoring extended warranties.